Everyone heads out to look at potential homes with a list of the things they want in a house, and a list of the things they definitely do not want. In addition to that wish list, there are also some other things you will notice about the homes you visit that may strike you as potential problems. When looking at homes, it is important to know what things are deal breakers and what things are minor issues that you can deal with easily. Turning down a dream home because of something that is an easy fix seems like a silly thing to do, but it happens surprisingly frequently. You walk into a home and it has terrible wallpaper or paint colors you wouldn’t dream of using, and it turns you off immediately. While the gut reaction is normal, it is important to step back from that instinct and think about it objectively. Painting is not particularly difficult or expensive, so try to imagine how the home would look with a different color palette, one that is more your style. The ability to recognize which issues are merely cosmetic and can be easily fixed is an important key to finding a house you will love. Be prepared to visualize the home as you could make it with a few cosmetic changes. It will open you up to the possibilities and might allow you to consider homes that aren’t perfect the way they stand now, but could be just right with a little elbow grease and paint. In some cases the major repairs that a house needs might be obvious. In other cases they might only be unearthed during a home inspection. Either way, you will need to give serious consideration to whether or not you are willing to deal with the problem. If the home needs expensive repairs, you can either try to get the seller to do the repairs or accept that you will need to do them yourself. In most cases, the seller will probably not be willing to take on major repair work, but might reduce the price accordingly. Still, this might be a deal breaker if you are seeking a turnkey home. 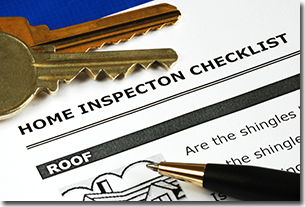 A home inspection is the best way to uncover all of the issues, both minor and major, that a house might have. When you review the inspection, look for things that can be easily fixed as well as those that can’t. The amount of work you want to do on your home will determine what problems you can personally live with.